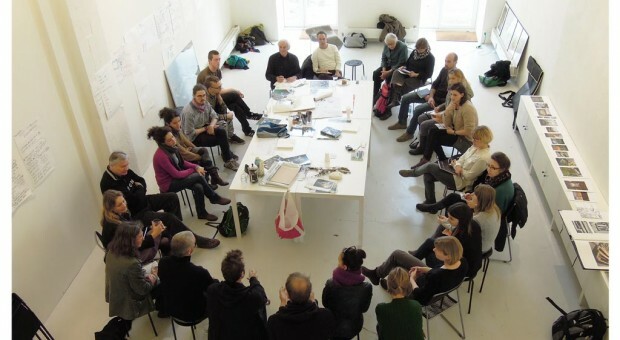 Michael Singer Studio led a workshop process called The Edge on Refshaleoen Peninsula as a part of the LAND with artist Joachim Hamou and his work with Projekt Landburg at Café Teatret in Copenhagen. The Edge was a public collaborative exploration of the potential of open land on Refshaleoen and how it might be made ‘productive’ in many aspects: environmentally, socially, economically and culturally. Over the 1 week period The Edge engaged well over 500 people and included 4 workshops, site visits, 2 lectures, 15 theater performances, an informal exhibition and numerous informational meetings. The workshops and exhibition were held at the Yard Gallery, which is led by Anette Holmberg on Refshaleoen and included participation of the local tenants on Refshaleoen, students and a wide range of professionals.